Lea Michele is a very talented person in the showbiz. She is an actress, singer, and an author. She is beautiful and likes to change her looks with time. Her hairstyles have been an inspiration for fashion lovers over the years. Her voluminous medium curls make her look very stylish. Her brunette shiny hair lies below her shoulders with blunt bangs in front. Her long straight hair is an asset. She looks great in a half up half down hairstyle. She had the upper section in black color and the lower section in brown color. This blend of color looked very stylish. Bobby pin updo shows her sharp features. The wavy strands look very adorable in front of her face. 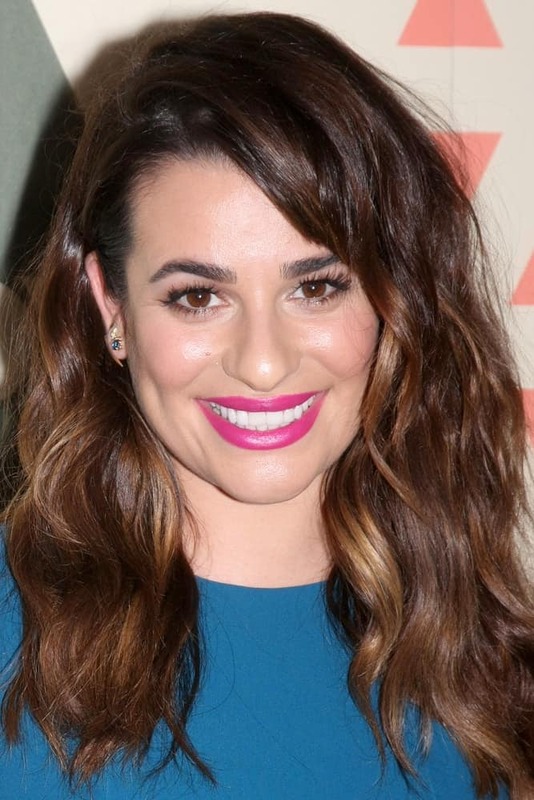 Here’s Lea Michele’s hairstyles over the years. Lea preferred to keep her tresses straight and simple with a dramatic center part at the 2016 Teen Choice Awards on July 31, 2016. Lea Michele wowed in a pin-straight hairstyle with center part at the 27th Annual GLAAD Media Awards on April 2, 2016. Lea Michele dazzled in a braided high ponytail with blunt bangs emphasizing her pretty face during the FOX 2015 Upfront Party held on May 11, 2015. Lea Michele looks white hot with her pulled back ponytail with side-swept bangs at the PaleyFEST LA 2015 - "Glee" event on March 13, 2015. Lea Michele was edgy-glam wearing this tousled hairstyle with side-swept bangs at the FOX Summer TCA All-Star Party 2015 on August 6, 2015. Lea Michele pulled her long brunette hair back into a low ponytail with blunt bangs at the Step Up Women's Network 12th Annual Inspiration Awards on June 5, 2015. Lea Michele went casual with this slicked back low ponytail hairstyle at the Hyatt Regency Century Plaza on February 7, 2015. Lea Michele looks so adorable in this wavy loose hairstyle with blunt bangs at the 20th Century Fox Party Comic-Con Party on July 10, 2015. Lea Michele showed off a sophisticated allure in a loose and wavy hairstyle at the Comic Con 2016 - "Scream Queens" PhotoCall on July 22, 2016. She once opted for a straight hairdo. This style looked different for the golden highlights in the middle of the black hair. She hand short bangs in front as well. She always takes advantage of her lovely long layered hair and shows off some great styles. She chose blunt bangs with straight hair. There were light brown highlights at the bottom. With such lovely hair, thick braids also look good on her. The hair had highlights which looked awesome. She also chose side swept long braid. She was seen in a braided updo. Though she has straight hair naturally, she also likes to style in waves and curls. So, we have seen her with wavy hair as well. Women with long and straight hair get lots of inspiration from her hairstyles. Michele started her career as an actress from a very young age. Her acting career started in Broadway and she was part of very big productions like Les Miserables, Spring Awakening, Ragtime, etc. She became a popular face after acting in the Fox series ‘Glee’. The series ran for a long time and Michele became a known personality. She also recorded music for the series ‘Glee’. She got nominations for Emmy Awards, Golden Globe Awards, and Grammy Awards for her work in ‘Glee’. ‘Scream Queens’ and ‘The Mayor’ are two popular television series where she worked. Michele is also a great singer. She released her debut album ‘Louder’ in 2014. Her second album was ‘Places’. Both these albums were on the Billboard 200 top chart. Michele and the entire cast of ‘Glee’ went on a music tour in different cities of the U.S. She acted in the movie’ New Year’s Eve’. She is involved in a lot of philanthropic works. She has shown her support for AIDS awareness, animal rights, human rights, and more. She is involved in a lot of activities and has achieved success in every field. She will act in more films in future and release more music albums. As she is also a writer, we can expect some good books from her as well.